He said he spent $9.00 on it online and had it sent directly to Jodi, according to his testimony. He also sent her a greeting card, to cheer up or something like that. Anyone else understand why he would do that?! As discussed on HLN last night, guests and hosts said none of their doctors have sent them greeting cards. They (and I) find that inappropriate behaviour by him. According to this link Jodi has private attorneys who are being paid by the state so she is not paying for her defense. Thank you for that video link, Amys Sister. It indeed does state that her lawyers are being paid for by the state. I wonder if the state is also paying for this expensive expert witness. I guess so. HLN carries it all but you have to wade through a LOT of commercials while they push their "pause" button! Dr. Sammuels is back on the stand today. IMO, he's helping the prosecution more than the defense. Martinez is pretty well carving him up and serving him to the jury. He was ill qualified to be the expert in a death case anyway, IMO. If Martinez can bring in an expert who is actually a Physician, such as a Psychiatrist, with prescriptive authority and experience, and that expert further confirms the flaws with Sammuel's report, then it's a home run for the State. The jury questions to Sammuels should be coming in today and I think they will be telling as to how Sammuels is being received. 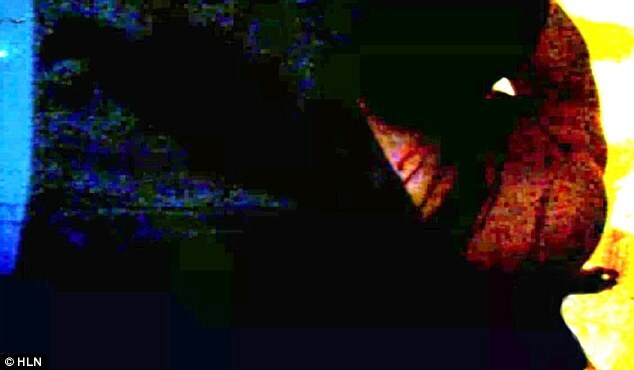 The dark image apparently depicts the back of Travis Alexander's head with his arm raised as blood trickles down his neck. A large dark obstruction in the foreground of the picture is a leg in sweatpants, the jury in Phoenix heard. The prosecution alleges the picture was taken as Arias, who they say flew into a rage after learning her ex-boyfriend wanted to date someone else, dragged Alexander's body through his Mesa, Arizona home. The image was apparently snapped as a camera was dropped. Also i don't believe any of her answers to these tests.. I think she knew to skew her answers to these tests. Also.. Her having PTSD after this event doesn't negate her repsonsibility for her actions. I guess they are trying to explain the "fog" and rehab her credibility after she repeatedly answered Qs with "I don't remember". But after all her lies I don't believe she has forgot all she's claimed to. In my 66 years of life no doctor has sent me anything. Books and literature have been recommended but ... it was up to me to accept or reject that recommendation and ... if I did it was on my dime. Samuels is being paid by the State but ... his bias is 100% in defence of Jodi. How is that possible if boundaries are not being crossed? #JodiJury deciding whether #JodiArias shows remorse... What do you say? Vote in tonight's HLN After Dark poll: http://on.hln.tv/3IhO1y #JodiJury #JodiArias Tonight 10pm I'll show you Jodi has no remorse! What kind of pill did #JodiArias take in court???? Where does Matt McCarney fit into the entire scenario encompassing Jodi Arias and the murder of Travis Alexander? Was he a participant? Has he knowledge? Considering Matt McCarney did not testify for the defence as planned ... has he made a plea deal with the prosecutor in exchange for the truth ... the truth that would imply premeditation? Does Tamikosmom have an over-active imagination? The intended recipient of the message remains unclear. However, based on court documents, the magazines were intercepted just a few weeks after the prosecution interviewed Arias' ex-boyfriend, Matthew McCartney, and just four days before a pre-trial hearing. "You tried to get someone to lie at that hearing, didn't you?" Martinez asked Arias on the stand. "No," she replied. Strung together, the entire message, according to Martinez, read, "You f***ed up what you told my attorney the next day / directly contradicts what I've been saying for over a year / get down here ASAP and see me before you talk to them again and before / you testify so / we can fix this / interview was excellent! Must talk ASAP!" 6:05 p.m. ET: Martinez played another clip from the CBS "48 Hours" interview where Arias said McCartney is one of her "best friends" and "allies." 6:00 p.m. ET: Martinez asked Arias if she ever thought McCartney would betray her. She said she had that belief in the past. 5:44 p.m. ET: Martinez asked Arias if McCartney visited her in jail. Arias said he has visited her, and they have talked on the phone. Think about. Jodi claims she cannot remember stabbing Travis. Jodi claims that she cannot remember dragging Travis back into the shower stall. Could it be that Jodi is not implicating an accomplice ... an accompice that would leave no doubt in the minds of the jury that the murder of Travis was premeditated. I could be wrong but ... I think the maybe ... just maybe Matt McCarney will emerge as the star prosecution witness. 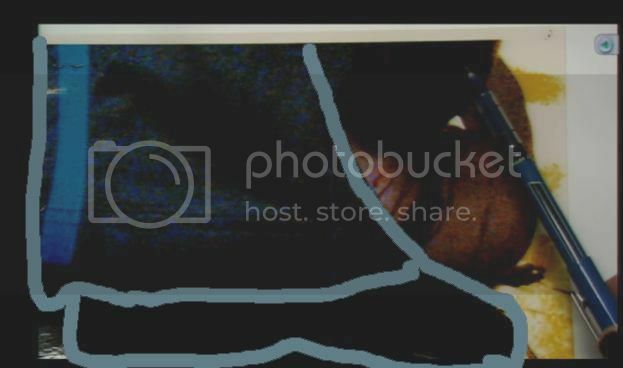 Cookie, to the left is a blue stripe followed by a large black 'foot' shaped image in the forefront of the photo. That is Jodi's foot. To the right of that is skin tone... that is Travis's shoulder, with blood dripping down his back to the floor, and his arm, which is being help up. To the right of all of that you can see a tiny bare foot... that is Travis's foot. Hope this helps. I struggled understanding the image at first too.